Oracle installation on 64 bit requires that certain 32bit packages also needs to be installed on system. So first of all you should be able to distinguish between a 32-bit or 64-bit package. Following rpm command can be used for this purpose. 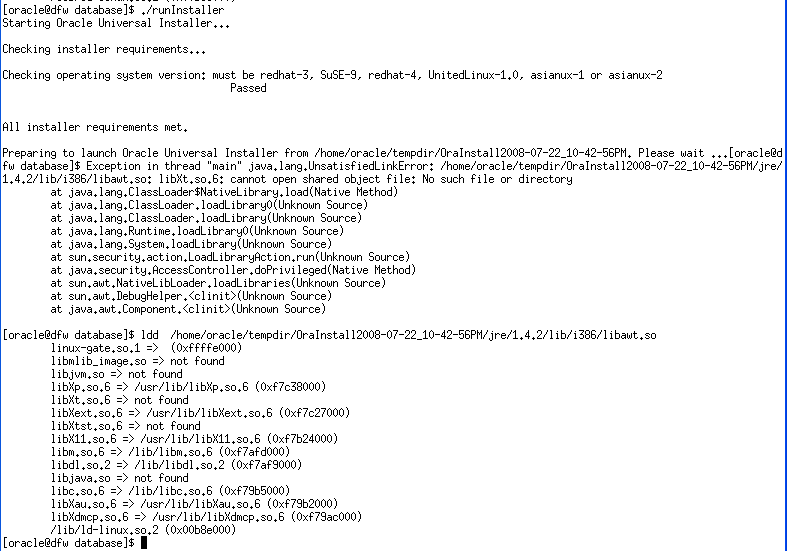 See the oracle installation documentation that comes with oracle installation disks. See above for how to tackle the missing library error. This will give you the name of missing package. Install its 32bit or its 64 bit version of package, or both, depending on the case and go ahed! Here in this case i386 implies 32 bit version of missing package is required.